5 who satisfies you with good as long as you live so that your youth is renewed like the eagle’s. 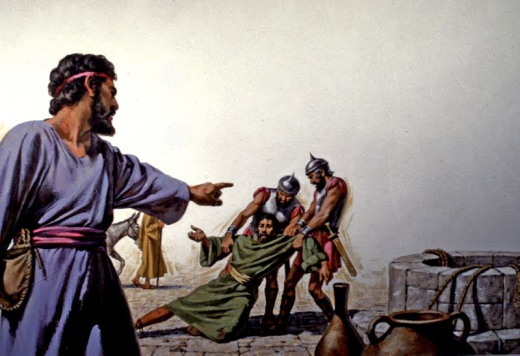 Realizing that their father was dead, Joseph's brothers said, "What if Joseph still bears a grudge against us and pays us back in full for all the wrong that we did to him?" So they approached Joseph, saying, "Your father gave this instruction before he died, 'Say to Joseph: I beg you, forgive the crime of your brothers and the wrong they did in harming you.' Now therefore please forgive the crime of the servants of the God of your father." Joseph wept when they spoke to him. Then his brothers also wept, fell down before him, and said, "We are here as your slaves." But Joseph said to them, "Do not be afraid! Am I in the place of God? Even though you intended to do harm to me, God intended it for good, in order to preserve a numerous people, as he is doing today. So have no fear; I myself will provide for you and your little ones." In this way he reassured them, speaking kindly to them. Welcome those who are weak in faith, but not for the purpose of quarreling over opinions. Some believe in eating anything, while the weak eat only vegetables. Those who eat must not despise those who abstain, and those who abstain must not pass judgment on those who eat; for God has welcomed them. Who are you to pass judgment on servants of another? It is before their own lord that they stand or fall. And they will be upheld, for the Lord is able to make them stand. Some judge one day to be better than another, while others judge all days to be alike. Let all be fully convinced in their own minds. Those who observe the day, observe it in honor of the Lord. Also those who eat, eat in honor of the Lord, since they give thanks to God; while those who abstain, abstain in honor of the Lord and give thanks to God. We do not live to ourselves, and we do not die to ourselves. If we live, we live to the Lord, and if we die, we die to the Lord; so then, whether we live or whether we die, we are the Lord's. For to this end Christ died and lived again, so that he might be Lord of both the dead and the living. Why do you pass judgment on your brother or sister? Or you, why do you despise your brother or sister? For we will all stand before the judgment seat of God. For it is written, "As I live, says the Lord, every knee shall bow to me, and every tongue shall give praise to God." So then, each of us will be accountable to God. "For this reason the kingdom of heaven may be compared to a king who wished to settle accounts with his slaves. When he began the reckoning, one who owed him ten thousand talents was brought to him; and, as he could not pay, his lord ordered him to be sold, together with his wife and children and all his possessions, and payment to be made. So the slave fell on his knees before him, saying, 'Have patience with me, and I will pay you everything.' And out of pity for him, the lord of that slave released him and forgave him the debt. But that same slave, as he went out, came upon one of his fellow slaves who owed him a hundred denarii; and seizing him by the throat, he said, 'Pay what you owe.' Then his fellow slave fell down and pleaded with him, 'Have patience with me, and I will pay you.' But he refused; then he went and threw him into prison until he would pay the debt. When his fellow slaves saw what had happened, they were greatly distressed, and they went and reported to their lord all that had taken place. Then his lord summoned him and said to him, 'You wicked slave! I forgave you all that debt because you pleaded with me. Should you not have had mercy on your fellow slave, as I had mercy on you?' And in anger his lord handed him over to be tortured until he would pay his entire debt. So my heavenly Father will also do to every one of you, if you do not forgive your brother or sister from your heart." The angel of God who was going before the Israelite army moved and went behind them; and the pillar of cloud moved from in front of them and took its place behind them. It came between the army of Egypt and the army of Israel. And so the cloud was there with the darkness, and it lit up the night; one did not come near the other all night. Then Moses stretched out his hand over the sea. The LORD drove the sea back by a strong east wind all night, and turned the sea into dry land; and the waters were divided. The Israelites went into the sea on dry ground, the waters forming a wall for them on their right and on their left. The Egyptians pursued, and went into the sea after them, all of Pharaoh's horses, chariots, and chariot drivers. At the morning watch the LORD in the pillar of fire and cloud looked down upon the Egyptian army, and threw the Egyptian army into panic. He clogged their chariot wheels so that they turned with difficulty. The Egyptians said, "Let us flee from the Israelites, for the LORD is fighting for them against Egypt." Then the LORD said to Moses, "Stretch out your hand over the sea, so that the water may come back upon the Egyptians, upon their chariots and chariot drivers." So Moses stretched out his hand over the sea, and at dawn the sea returned to its normal depth. As the Egyptians fled before it, the LORD tossed the Egyptians into the sea. The waters returned and covered the chariots and the chariot drivers, the entire army of Pharaoh that had followed them into the sea; not one of them remained. But the Israelites walked on dry ground through the sea, the waters forming a wall for them on their right and on their left. Thus the LORD saved Israel that day from the Egyptians; and Israel saw the Egyptians dead on the seashore. Israel saw the great work that the LORD did against the Egyptians. So the people feared the LORD and believed in the LORD and in his servant Moses. 5 Why is it, O sea, that you flee? O Jordan, that you turn back? Heavenly Lord Jesus, I pray to you, help all the people on earth who are oblivious to you and your saving grace. I see and hear — I am bombarded with — words and actions that spring from the total darkness of those who do not know you. They blaspheme your name, they scorn your Word, they mock those who confess you. I know your will be done in all things, mighty God, and it seems that there are those you will abandon to evil; yet even so, it is my prayer that you save them all, or save as many as you might be persuaded to; or even, that you save a single one by my prayer. I pray that you might have mercy upon the wretched atheists, the misguided who worship a God without Christ, and all the many who are simply confused and adrift. Save them Lord Christ; this I pray to you and in your name, Amen. I pray you, Lord, make me taste by love what I taste by knowledge; let me know by love what I know by understanding. I owe you more than my whole self, but I have no more, and by myself I cannot render the whole of it to you. Draw me to you, Lord, in the fullness of your love. I am wholly yours by creation; make me all yours, too, in love. Amen. Oh God Almighty, send me Your light and truth, to keep this day and all the days of my life. And may Your mighty hand protect me, and all my brothers and sisters who have joined me in prayer this day, blessing our homes and our lives. Amen. Then Peter came and said to him, "Lord, if another member of the church sins against me, how often should I forgive? As many as seven times?" Jesus said to him, "Not seven times, but, I tell you, seventy-seven times. "For this reason the kingdom of heaven may be compared to a king who wished to settle accounts with his slaves. When he began the reckoning, one who owed him ten thousand talents was brought to him; and, as he could not pay, his lord ordered him to be sold, together with his wife and children and all his possessions, and payment to be made. So the slave fell on his knees before him, saying, 'Have patience with me, and I will pay you everything.' And out of pity for him, the lord of that slave released him and forgave him the debt. But that same slave, as he went out, came upon one of his fellow slaves who owed him a hundred denarii; and seizing him by the throat, he said, 'Pay what you owe.' Then his fellow slave fell down and pleaded with him, 'Have patience with me, and I will pay you.' But he refused; then he went and threw him into prison until he would pay the debt. When his fellow slaves saw what had happened, they were greatly distressed, and they went and reported to their lord all that had taken place. Then his lord summoned him and said to him, 'You wicked slave! I forgave you all that debt because you pleaded with me. Should you not have had mercy on your fellow slave, as I had mercy on you?' And in anger his lord handed him over to be tortured until he would pay his entire debt. So my heavenly Father will also do to every one of you, if you do not forgive your brother or sister from your heart." Cats never forgive. Scientists have observed conciliatory behavior in many different animal species, like gorillas, goats, and hyenas, whom often follow confrontations with friendly behavior like embracing or rubbing noses. The only species that has so far failed to show outward signs of reconciliation are domestic cats. In other words, when it comes to forgiving others, don't act like a cat! 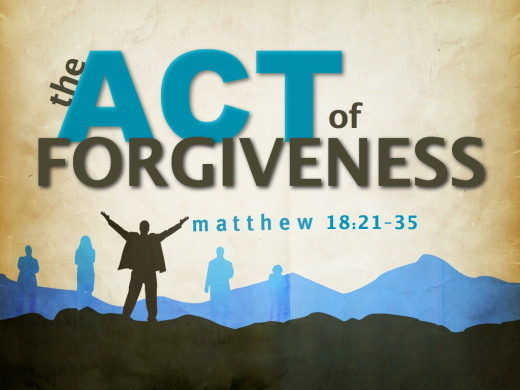 The Our Father prayer has a very high standard of forgiving....forgive us our trespasses as we forgive those trespass against us, and our Gospel Reading repeats the theme that pardoning others is a condition for receiving divine forgiveness. e.g. General Oglethorpe once said to John Wesley, “I never forgive and I never forget.” To which Wesley replied, “Then, Sir, I hope you never sin. Prudence is used in how we forgive because some people can be abusive, so we might have to love them at a distance. 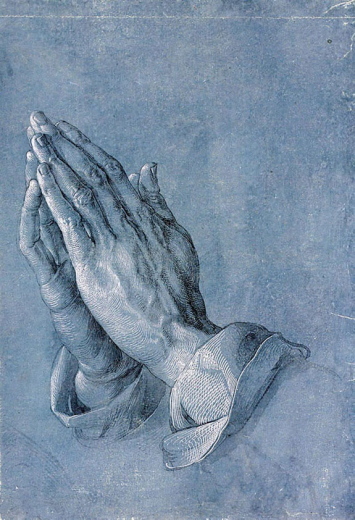 But prayer is the one of the most powerful expressions of love that we can offer. To forgive seventy-seven times is biblical language for endless, AND it is meant to be contrasted with Genesis 4:24, which speaks of bad person who vowed vengeance, "seven-sevenfold." However, a theme which is repeated in Deut. 32:35 and Romans 12:19: Those who take vengeance into their own hands will become victims of divine vengeance. To forgive is to enter in to Christ’s crucifixion with him. As he bore the pain of our sins, we are now asked to bear the pain of other’s offenses against us. Forgiving is hard because it’s a cross. The Jewish philosopher, Hannah Arendt, once had these wise words to say, "Forgivenss is only power which can stop the stream of painful memories." In 1990 a drifter named Robert Knighton was convicted for murdering Richard Denny and his wife, Virginia, in rural Oklahoma. Knighton got $61 and an old truck from the robbery and murder. Richard Denny had an adopted daughter named Sue Norton. When Knighton’s trial began, Sue attended the trial… confused. ‘I should feel anger and want vengeance, but I was also taught I need to pray for him and forgive him,’ Sue said. During the trial, she learned of Knighton’s childhood: a mother who had been married six times; reformatories and prisons starting at the age of 12. The day the trial ended, she asked to meet with Knighton. He was six feet tall, shackled and angry. She took a deep breath and said, ‘If you are guilty, I forgive you.’ She offered her hand through the bars. He pulled back. She grabbed it and started praying. ‘I learned forgiveness is a gift to ourselves, not for the forgiven.’ She began to write to him and to visit him. ‘Executions just turn more families into victims,’ she said. She lost friends. Knighton became a Christian on Oklahoma’s death row. She was present at his 2003 execution, his only friend among the witnesses. Our Gospel today says, “So will my heavenly Father do to you, unless each of you forgives your brother from your heart.” The catechism states that “it is not in our power not to feel or to forget an offense”. It takes time for our hearts to catch up with our decision to forgive and say the words I forgive you. And there is Decisional forgiveness and emotional forgiveness. ‘Up in that church tower,’ he said, nodding out the window, ‘is a bell which is rung by pulling on a rope. But you know what? After the sexton lets go of the rope the bell keeps on swinging. First ‘ding’ then ‘dong.’ Slower and slower until there’s a final dong and it stops. I believe the same thing is true of forgiveness. When we forgive, we take our hand off the rope. But if we’ve been tugging at our grievances for a long time, we mustn’t be surprised if the old angry thoughts keep coming for a while. They’re just the ding-dongs of the old bell slowing down’. Reader's Digest once asked its readers to complete the sentence: "I Never Regret..."
"I never regret...the day I quit smoking." "I never regret...taking naps and leaving large tips." "I never regret...serving my country." "I never regret....forgiving the person who caused me pain, which gave me relief I never thought I could have." New Revised Standard Version Bible, copyright 1989, Division of Christian Education of the National Council of the Churches of Christ in the United States of America. Used by permission. All rights reserved. The New Revised Standard Version Bible may be quoted and/or reprinted up to and inclusive of five hundred (500) verses without express written permission of the publisher, provided the verses quoted do not amount to a complete book of the Bible or account for fifty percent (50%) of the total work in which they are quoted. Sermon shared by Fr. Paul Andrew on Aug 11, 2017. 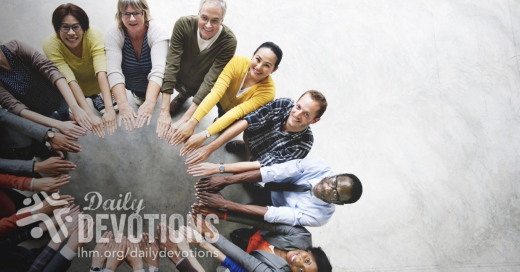 LHM Daily Devotion - September 17, 2017 "Helping to Heal"
Imagine how difficult it can be for a depressed person to interact with others. Now imagine how much worse things would be if that depressed person was suffering several illnesses which kept them isolated, alone, and feeling like an outsider. That is what Ana and María feel every day. Ana and María are a mother and daughter who are living a solitary lifestyle, with almost no friends or family. They said, "Our isolation started when we became sick with one illness after another. Soon our only companions were doctors and nurses. It all happened so very gradually." After some years immersed in this hermit lifestyle, Ana and María were afraid to leave their home, and with the exception of seeing physicians at the hospital, they were terrified of talking and interacting with other people. María explained when she told us, "I was afraid people would mock me and that single thought made me anxious." Even so, when María saw the Lutheran Hour Ministries' posters promoting our brochures for depression and anxiety, she plucked up the courage to speak with us, and requested our brochures. In our initial visits, she hardly spoke. After trust was established, she told us her story. In order to distract them from the past and to encourage healthy social relations, our staff tried to help them and integrate them into talks, meetings with women, Christmas events, and activities. It was our hope that we would, in this way, break the hermetic circle of the solitude which had surrounded them. Through the reading of the Word, Ana and María have been saved by the Savior who not only has forgiven their past sins, He also has blessed them with strength and encouragement. Today, both mother and daughter are faithful volunteers at our headquarters. As they work at increasingly difficult tasks, we rejoice that the Holy Spirit has changed their eternities and their present lives. We are glad because Ana and María feel more up, thankful, and happier because they now see their lives as wonderful gifts from God. THE PRAYER: Heavenly Father, we ask that through Your immense power, health will be given to the sick and comfort offered to the afflicted. May You, with Your immense love, remove all sin, suffering, and pain from their bodies and punishment from their souls. May they then, liberated by Your love, offer unending thanks to their Redeemer. This we pray in Jesus' Name. Amen. Biography of Author: Today's international devotion was written by Carolina Delgado who is an English teacher and a webmaster and became involved as a volunteer with Lutheran Hour Ministries-Chile ten years ago. Today she primarily works as the social media manager at LHM-Chile. Known in Chile as Cristo Para Todas Las Naciones-Chile, LHM has a ministry office in Santiago, from which it conducts evangelistic and outreach activities throughout the country. One strategy has been to sponsor workshops, or talleres -- which are led by volunteers -- music workshops, conferences, lectures, English classes, and even a class to learn German! This ministry center also uses brochures about social topics. In this South American country of nearly 18 million people, LHM-Chile serves as the primary evangelism partner of the new Evangelical Lutheran Church of Chile (IELCHI). Conducting Equipping the Saints (ETS) workshops and distributing outreach literature and topical booklets in places like public health clinics, this ministry center works in conjunction with affiliated IELCHI congregations and mission starts. Additional LHM-Chile activities include youth music programs, elder care programs, holistic women's workshops, and drug abuse prevention programs.